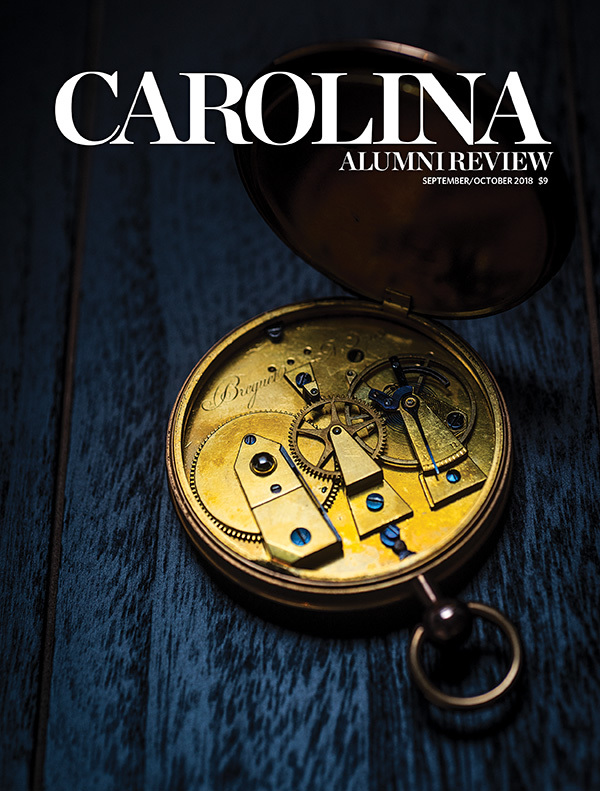 Carolina will mark its 225th birthday on University Day, Oct. 12, with a special observance of that milestone, and events will begin an hour earlier than usual — at 10 a.m. Classes will be canceled 9:30 a.m.-12:30 p.m., and all members of the Carolina community are invited to attend the festivities, which include a traditional processional starting at 9:30 a.m. at the Old Well and moving into Memorial Hall. Three speakers will deliver keynote addresses: Chancellor Carol L. Folt; James L. Leloudis, professor of history, associate dean for Honors Carolina and director of the James M. Johnston Center for Undergraduate Excellence; and Felicia A. Washington ’87, vice chancellor for workforce strategy, equity and engagement. Five alumni have been selected to receive Distinguished Alumna and Alumnus Awards: Donald A. Baer ’76, CEO of Burson-Marsteller; math professor Robert L. Bryant ’79 (PhD); Vaughn D. Bryson ’60, retired CEO of Eli Lilly; Peter B. Henry ’91, dean emeritus of NYU’s business school; and singer-songwriter Tift Merritt ’00. Bland Simpson ’70, Kenan Distinguished Professor of English and creative writing, will receive the Edward Kidder Graham Faculty Service Award. 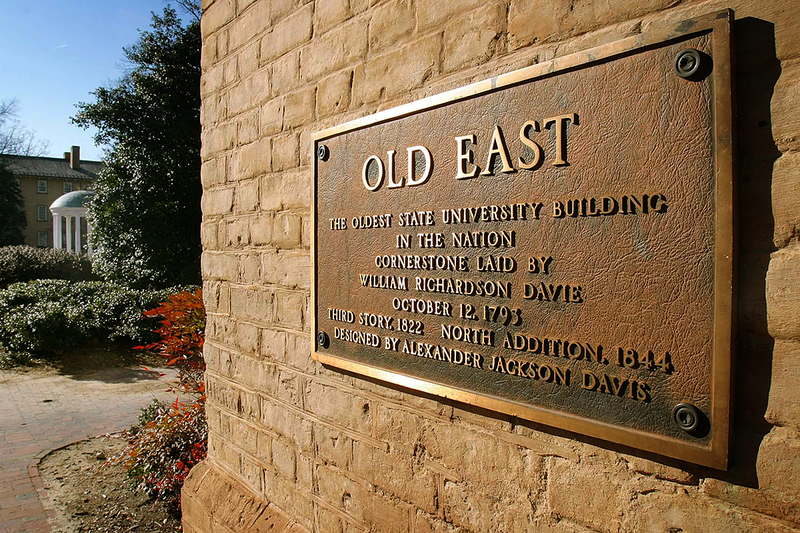 University Day marks the anniversary of the 1793 laying of the cornerstone of Old East, and the Memorial Hall ceremony is the centerpiece of the annual celebration. This year there will be several events before and after. 5-7 p.m., Bridge Builder reception and panel at Gerrard Hall. 7:30 p.m., UNC Symphony Orchestra performance at Memorial Hall. 9 p.m., Bell Tower lighting. 8-9:30 a.m., Waffles at Wilson Libary, served up by the GAA’s Order of the Bell Tower. 11:30 a.m.-1 p.m., cookies and music in the Pit. Late Night with Roy at the Smith Center, featuring the men’s and women’s basketball teams. Doors open at 4 p.m. The volleyball team takes on Virginia Tech at 5 p.m., followed by the basketball events. 225th anniversary halftime show at the UNC-Virginia Tech football game. Object Lesson: Observing the Passage of Time: UNC’s founding father, William Richardson Davie, obviously appreciated a fine timepiece. Former UNC System President C.D. Spangler Jr. ’54 did as well. Yours at Carolina: On the Occasion of a Quasquicentennial: GAA President Doug Dibbert ’70 takes stock of UNC at 225.